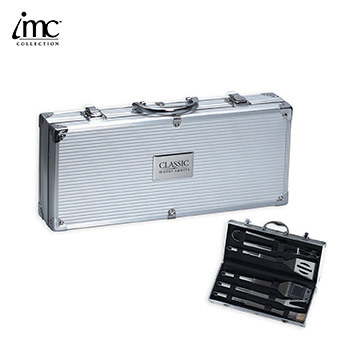 5-piece stainless steel case with BBQ tools. Includes all metal fork, tongs, spatula, basting brush and grill brush. Elegant outdoor cooking!